Super Heroes and Mutant Villains | hesaidwhatnow? It’s a dangerous world in which we live. Everyday we run the risk of getting hit by a car, being the victim of a crime, or accidentally hearing a Nickelback song. In fact it has gotten so bad that there are now mutant villains plaguing the world (seriously – we’ll get to that shortly). Luckily we also have this guy. In Bradford, England, the police were looking for a felon wanted for fraud and stolen goods offences, but were having no success in finding him. Like Bonny Tyler, the Bradford police needed a hero. A superhero. 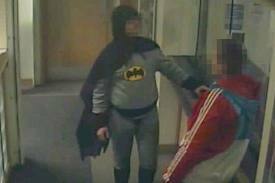 To the police’s great surprise, their wish came true, when none other than Batman himself brought the wanted criminal to the Bradford Police Station. Looking a little more ‘Adam West’ than ‘Christian Bale’, the Caped Crusader brought the dastardly villain to the authorities, telling the officers “I’ve caught this one for you.” With the crook in custody, Batman fled off into the night to get his hands on more criminals – or possibly a six-pack and a kebab. Even though his identity remains unknown, the citizens of Bradford feel a little safer knowing that a portly man in a grey suit is out there, cleaning up the streets, and the remains of last night’s pizza. It may not be long before the city of Tehran shines the Bat-Signal into the night sky in a desperate attempt to gain help for its current problem – mutant rats. 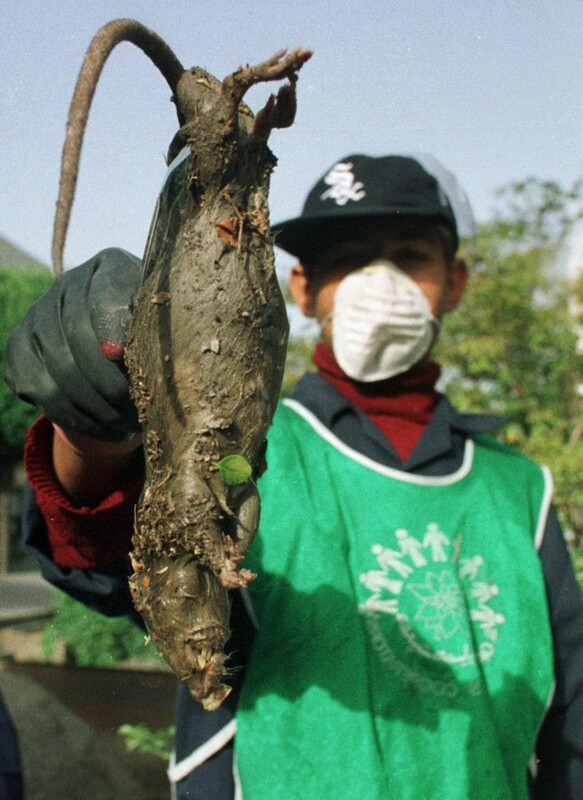 The Iranian capital is in the midst of a plague, the city being overrun by “mutant rats” that have grown freakishly huge due to “being exposed to radiation and chemicals”. Under normal circumstances, this wouldn’t be a problem, as the rats would go on to become wise mentors to fun loving teenage mutant ninja turtles; however in this instance the rats have become cat sized and outnumber the human citizens living in the city. The initial solution was poison, but the effectiveness of that solution is decreasing against the “hyper-evolved” rodents, so the Iranian government has devised a new plan: snipers. Originally the government deployed 10 squads of snipers, but the Rodents of Unusual Size were too numerous, and so that number was upped to 40. Deployed with the most advanced weaponry, including laser sight rifles, the snipers hunt their enemy around the clock. Yet still the rat epidemic continues.